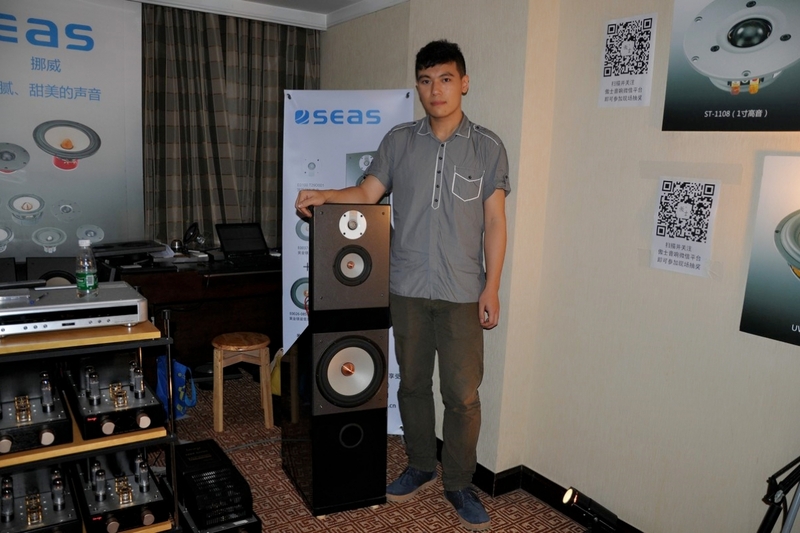 We had a great time at the AV-Fair in Guangzhou. The show was surpringsly well visited, and the room in which SEAS was represented, was filled with unique new kits designed by Julien Wang and David Fu from Image Audio. We were amazed by the sound of the kit equipped with the White Diamond, together with W15CH001 and W26FX001. This combination probably represent the best tweeter, the best midrange, and the best woofer in the world. Thanks to May and all our colleagues at Image Audio for an excellent job.